The Maltese Shih Tzu (also known as a Malshi) is a small, loveable pompom. The perfect companion for the more “relaxed” family member. A designer dog breed, bred by crossing the gorgeous hypoallergenic Maltese with an oh so fluffy Shih Tzu. 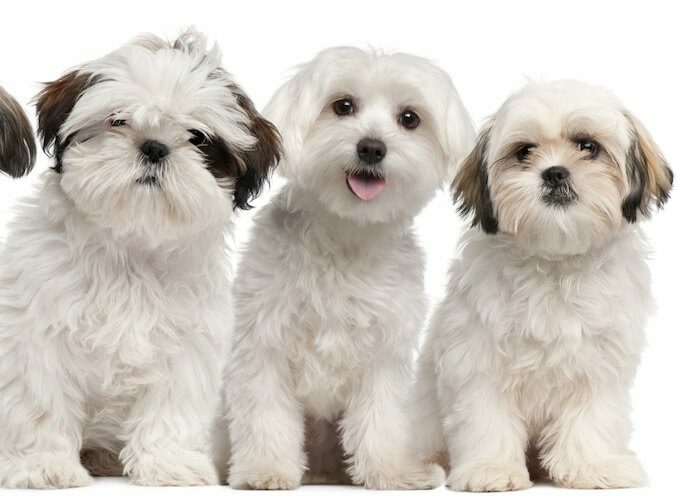 Not only is the Shih Tzu Maltese an affectionate breed, but, they can also be playful, highly adaptable, and can fit in with a variety of different lifestyles (e.g. a young, thriving city life and a loving suburban life). This designer toy breed is classed as a toy dog, once matured, measuring up to 12” tall and 12 pounds in weight. They have a short muzzle and round head with a soft non-shed coat. So, if you are interested in this mix breed, keep on reading to discover their temperament, lifespan and size as we cover the facts. Suitable For Elderly, attentive owner, or even a great little addition to the family! The Maltese Shih Tzu is bred from two pure breed parents; the petite and hypoallergenic Maltese dog and the clever and spunky Shih Tzu. Because both parents are of a similar size, the sire and dam can be interchangeable. 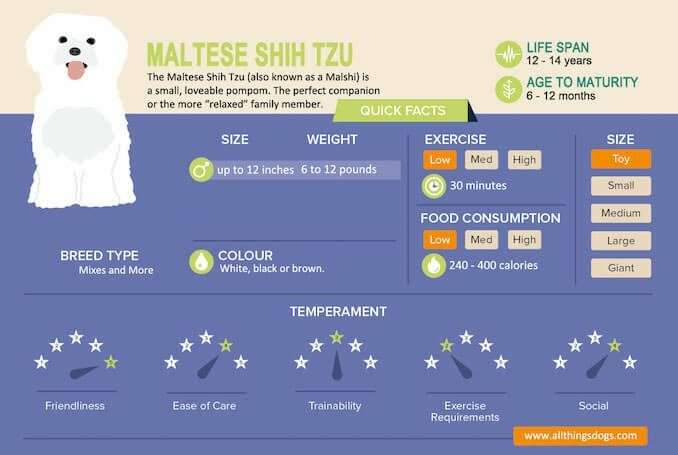 Free Giveaway: Get a free copy of our shih tzu maltese mix eBook which includes a full care guide and infographic. So, where did this little designer dog come from? Although both parents originate from different parts of the world (Maltese from the Mediterranean and Shih Tzu from Asia); the Maltese Shih Tzu was actually bred first in the United States in the 1990s. 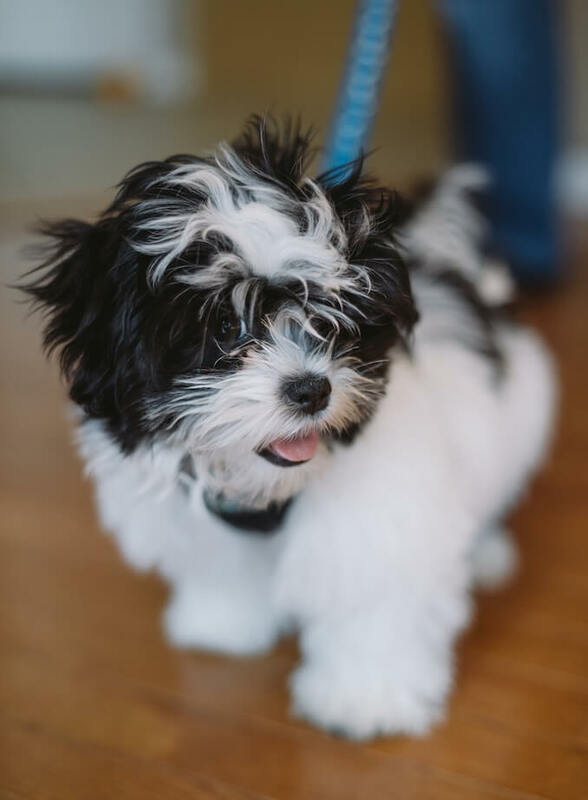 The idea of mixing the Maltese dog and Shih Tzu dog was to create an adorable little companion who did not shed as much; much like that of a Shorkie. If you are a Pretty Little Liars fan then you will know that Ashley Benson has one of these designer hybrids. The shih tzu maltese is not recognized by any major kennel club as it is a hybrid dog. The litter size ranges from between 6-8 puppies; due to their small size this is a large litter size. Each litter is unique in coloration, as is the case with many designer hybrids, so there is no telling just what each litter will look as they may come in many different colours. A maltese shih tzu price tag ranges from between $400 – $800 USD, with variations dependent upon which breeder you purchase from. You may even be lucky enough to find one in a rescue center as adopting a dog is always a heart-warming option. 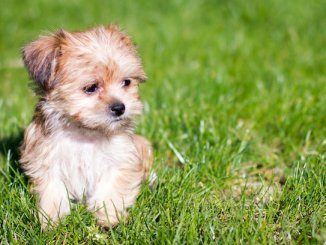 What is the Maltese Shih Tzu life span? This dog lives on average for approximately 12-14 years. Being the perfect small companion dog, you will definitely appreciate every year spent together. How big is a Maltese Shih Tzu full grown? Remember, this is a toy dog breed. Therefore, your puppy will not grow very much after two months of age (see table below). Both sexes of the dog are approximately the same size. The Maltese Shih Tzu has a very loving temperament. In fact, they crave love and need to know just how much you love, love, love them. Just like another Maltese mix; the Morkie. They have such a great temperament they are suitable for both the elderly and children. This is because they are energetic enough that they can keep your children busy, but they can also be docile and snuggly and are therefore the great companion to the elderly. They can be confident and are sometimes somewhat suspicious of strangers. When they are not introduced properly to strangers; they may act a little feisty. They are great with other pets too as long as they are introduced and socialized frequently. It is very important that the Shih Tzu Maltese gets all of the attention they require; without proper care and affection, this breed may get bored and depressed. This can then lead to destructive and unsettling behavior. Good news for all of the more relaxed dog-parents out there as this designer dog breed is is easy to care for. 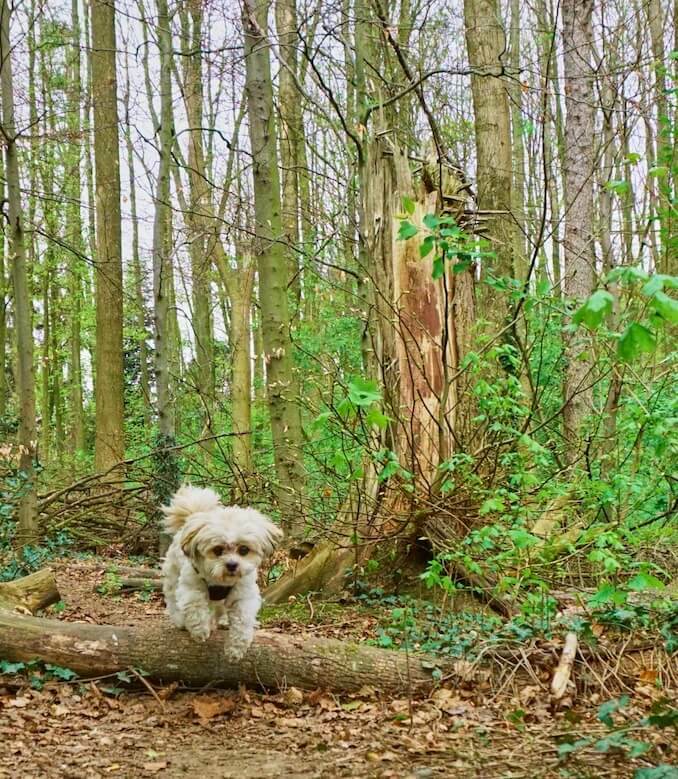 Being on the small end of the scale, the Maltese Shih Tzu doesn’t actually require that much food and they will never say no to a healthy treat. 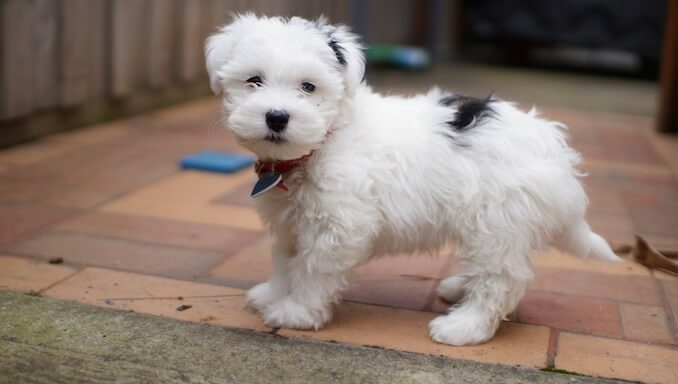 It may seem strange that your puppy will require more calories per day than your adult Malshi (since they are smaller), however this is completely normal. Your puppy needs more calories as it is growing and therefore needs more energy to support this process. An adult Maltese Shih Tzu requires round ½ a cup of high quality dry dog food per day. A good option is to feed your Malshi kibble specialized for small and toy dog breeds. You should split feedings into two servings throughout the day. This will ensure your dog remains satisfied all day and night. Luckily for this breed, Shih Tzu Malteses are not prone to obesity! However, it is probably better to keep them away from Kentucky Fried Chicken and McDonalds. 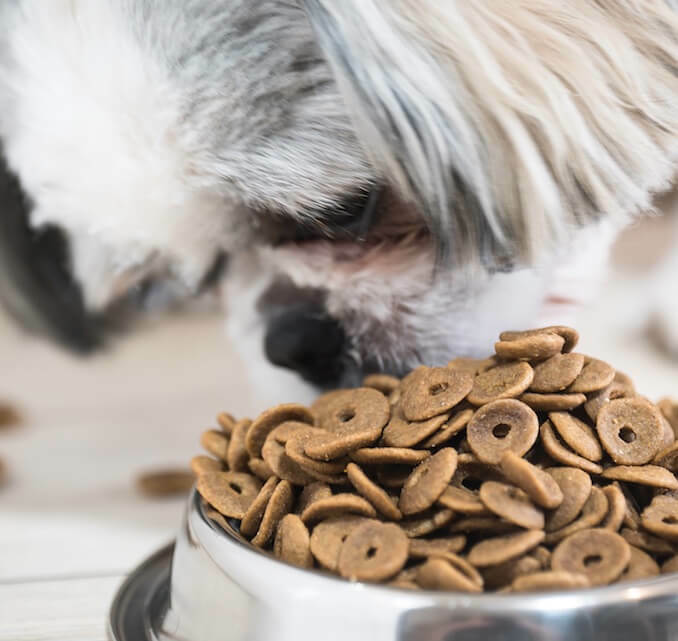 As with any animal, it is important that we stick to foods which meet all the dog’s nutritional and daily requirements. This ensures that your pet stays healthy! Remember, as with any dog, your maltese shih tzu dietary requirements may change in accordance with their age, size and activity level. It is important that you do not push these designer dogs too much, they are a known sufferer of brachycephalic respiratory syndrome therefore over-exertion may lead to breathing difficulties. Let’s be honest, no dog will say no to a nice big yard to run around in. However, a big yard is not necessary for the Maltese Shih Tzu. They can happily live in a small space such as an apartment. However, this does not mean that no exercise should occur. They don’t require a harsh or physical exercise plan (e.g. a herding dog which requires agility training). However, you should expect to walk them for a brisk 15 to 30 minute daily walk. You should also look to use some mental stimulation games (see suggestions below) to help keep them entertained whilst not over excising them. This way they will have your company, attention and exercise all in one. Remember to use a leash as they love to be little explorers. The Malshi is very intelligent and therefore is always interested in discovering its new and exciting surroundings. The Maltese Shih Tzu are a very intelligent crossbred dog. This makes some aspects of training easier; which is a perfect characteristic if you’re a first time puppy owner! Like any dog, a Malshi needs positive reinforcement training. Over-spoiling any dog can lead to bad behavioral habits (e.g. destruction and barking) so be careful when it comes to “over-babying” your pup. The Maltese Shih Tzu has a tendency to show signs of distress around strangers. However, this can be a result of inadequate socialization. Great socialization activities include, trips to the dog parks, little walks around the neighborhood, and even little trips to a dog-friendly beach! Short for ideas? Google dog-friendly places in your area and you will be sure to find cool and different places to take your Malshi. Simple mental stimulation is sufficient for your little Malshi. All they really need is to know that you care and love them, cuddles are enough to keep them more than occupied. They can be quite an energetic breed if they need to be, so small games are suitable for mental stimulation. Try games of hide and go seek, or, even fetch. For a fun game of hide and seek simply run around with your Malshi, then quickly hide. Call his or her name and let them try and find you. To make it more fun, you can even sneak away and try new hiding positions and again call their name! Trust me, they will be racing around trying to find you. The most important thing to remember is that they do not do well when they are alone. They can easily suffer from separation anxiety. They require and crave your affection both mentally and emotionally. So as long as this is given then you should both be okay. The Maltese Shih Tzu is a hybrid dog which was bred with a goal of eliminating known health faults present in the purebred parents whilst introducing the hypoallergenic coat of a Maltese. However, unfortunately this doesn’t always happen and some health issues and diseases are still present. 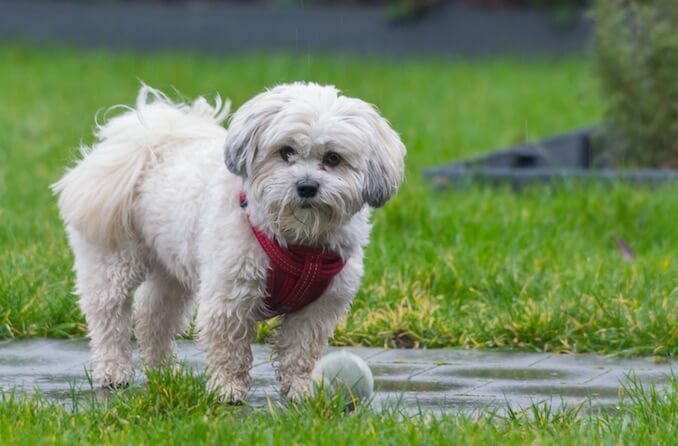 As a loving owner, you will want to have a brief idea on what health problems your little Malshi may be predisposed to. Brachycephalic Respiratory Syndrome is commonly seen in dogs who have a short and flattened head/face shape as this causes the shape of their noses and muzzles to be irregularly short. This may lead to difficulty breathing which may result in intense loss of breath if they are over-exerted. Unfortunately for the Malshi, both parent breeds, the Maltese and the Shih Tzu, are genetically predisposed to this syndrome. Therefore, passing on the health problem to your poor little Maltese Shih Tzu. White Shaker Syndrome, is prevalent in many small dogs. This syndrome causes the dogs whole body to unexpectedly shake and is caused by an inflammation in the brain which is idiopathic. Sometimes owners may mistake the shaking for their dog just being cold. But if the tremors persist, then you should contact your local veterinarian! Patellar Luxation is a common orthopedic problem in many dogs. This can result in your dog’s knee becoming dislocated. Sadly, this condition is common in small and toy breeds. Prolonged or continuous stress in the area may lead to surgery. So, we have established the fact that they resemble a pom pom. 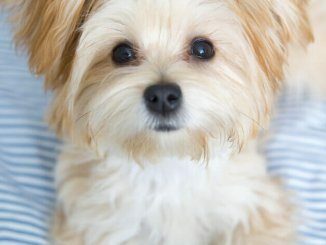 But let’s get more specific, what does the Maltese Shih Tzu really look like? Generally speaking, they’re definitely on the small side compared to your average dog. Their bodies and head, although small, are quite proportionate. They may have big bulgy eyes, which may be hazel or amber. Their coats are normally long (although their owners often give them trendy haircuts) and straight or wavy. Uniquely, they don’t often have an undercoat. This dog was bred specifically to eliminate shedding. Although some shedding does still occur. These dogs are known to be hypoallergenic (i.e. reduced shedding) so whoever is on vacuum duties will thank you! Their coat can come in a variety of colors and may range anywhere from white, black, brown, or a combination of colors. For example, white and black, white and brown, brown and black… You get the point! The markings on these small dogs vary often and therefore makes it a bit easier to tell your little maltese shih tzu from others. Light brushing is enough to get rid of that small amount of excess fur and dander. Brushing can be daily or as minimal as just twice a week. Owners of the breed normally opt for a Maltese Shih Tzu haircut; especially in the summer months. This will also make grooming a lot easier. If you want to keep your pup’s hair nice and silky smooth, then bathing twice a year is not a bad idea. Regular nail clipping also doesn’t hurt. And make sure their eyes are kept clean as they may get quite gunky! If their eyes aren’t cleaned regularly then this can lead to tear staining (as seen commonly in the parent breed, the Maltese). A small dog which is highly adaptable, requires little exercise, and doesn’t cost an arm and a leg on monthly dog food. These loveable, affectionate, intelligent and playful pompoms are the perfect companion for any family or individual, no matter what the living situation. Just be sure to show your maltese shih tzu some love, attention and have plenty of time for them. Comment below if you too know of someone with a kind and out-going Maltese Shih Tzu, we would love to hear just how loving and affectionate they are! Hi Mary, I have shared your comment with the community – so hopefully someone will be able to recommend a breeder to you. We are first time guardians of a beautiful Maltese/Shih Tzu mix. Talk about love,love,love!! !She is a pure delight 24/7. We are retired and never ever leave her for extended periods of time. Separation anxiety is both cruel and frustrating to any dog and in this case very cruel to this loving breed. We have a fluffy white 10month old male called Elvis and he’s adorable. Took a while to toilet train but once the penny dropped he’s been fantastic! What a delightful little dog, he’s misses nothing very alert, loves walks, loves cuddles, loves other dogs, not so keen on our neighbours cats. He’s never chewed anything, he does have a extensive range of his own toys. He would go for. Walk 10 times a day if he could, he would also play fetch all day. Would certainly recommend this breed to family’s. My wife, and I got our daughter a maltese shih tzu for Xmas of 2011. Immediately the little pup imprinted on me. So even though the pup, Aka CupCake, is my daughter’s pup. She will always come to me when I call her or will lay next to if not on top of me when she is sleeping. My daughter thinks I done something to her or bribing her to make her come to me when all I’ve done is just love on her. I think it’s amazing that this little fur ball is such a big part of our life and that I will do anything for her. She fell ill about 2yrs ago and the vet said it would cost $1,500-$2,000k for the surgery, meds and after care. We didn’t have the $$ but I sold my race car so we could get the $$ to get our baby better. I look at her like she was my other kid. Never in a million years I’d think I would love an animal like this. But I’m proud to say I do and will continue to love her as long as I can! !